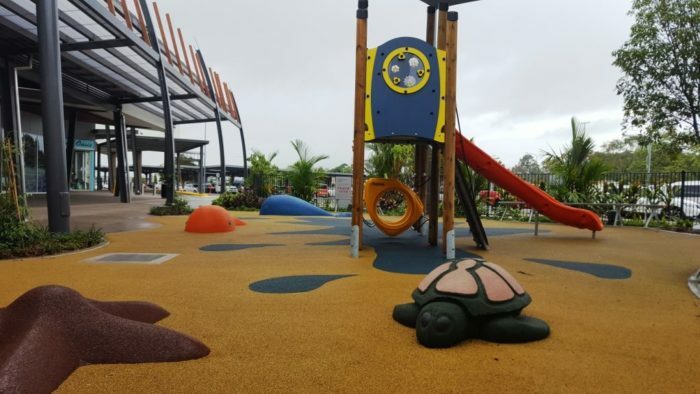 The new playground at the Smithfield Shopping Centre in Cairns has proven very popular with young “tag-along shoppers”. 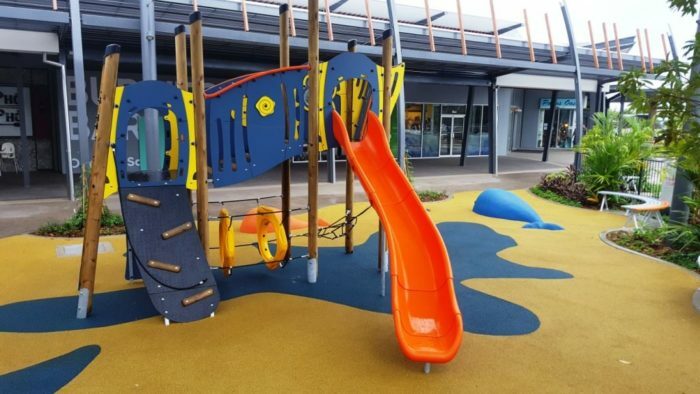 The feature of the playspace is a Jukebox playground featuring a climbing wall, rope ramp, slide and plenty of above and below deck activity. 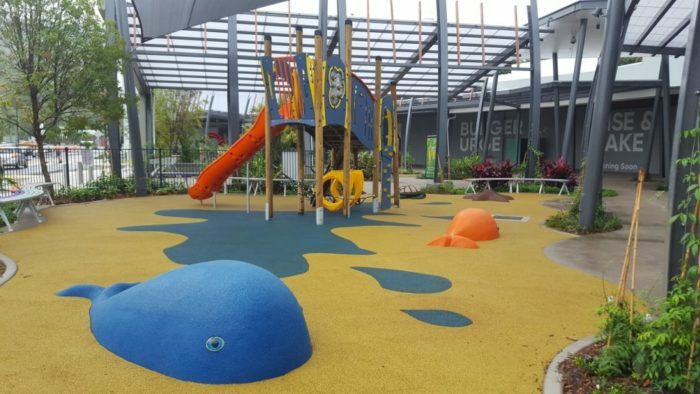 And complementing the space is a selection of our rubber sea creatures – the whales, a starfish and turtle provide imagination play opportunities in the playground. Re-energised and ready to help their parents shop again – children will be dragging their parents to this centre. As one parent has said “it’s awesome, only problem is my boy now wants me to shop at Woolworths not Coles so he can play on it while I do the food shopping”. Should we be looking for royalties from Woollies? ?